We spent another two hours in the vegetable garden yesterday evening. We got the new raised bed to the point where we could plant in it. It still needs one more course of stones around it, and then the watering system, but we really wanted to get the plants in before the heat of the week. Rocks can wait; plants are a bit more seasonally dependent. This is the fabulous new bed that Achaosofkittens built. It is, of course, full of peppers and parsley. These are my potato bags (needing more dirt) with a 1x1 raised bed in front that has pumpkin sprouts. 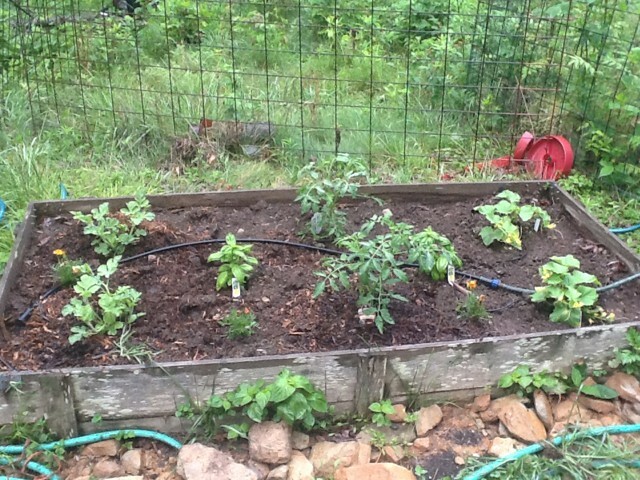 Left to right: watermelon, basil, purple tomatoes, basil, cucumbers. 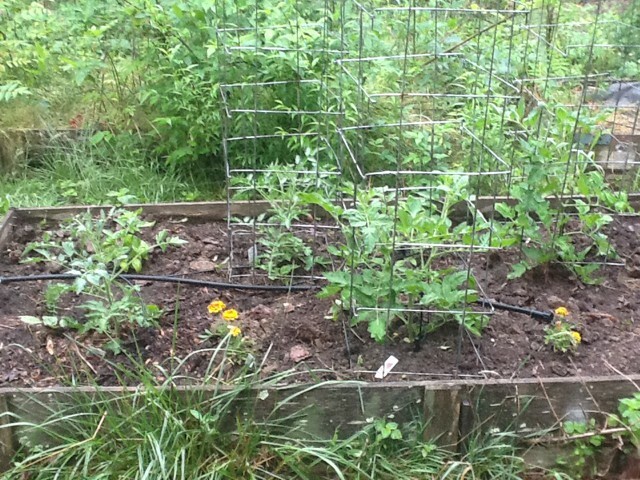 Everything still needs cages and trellises. 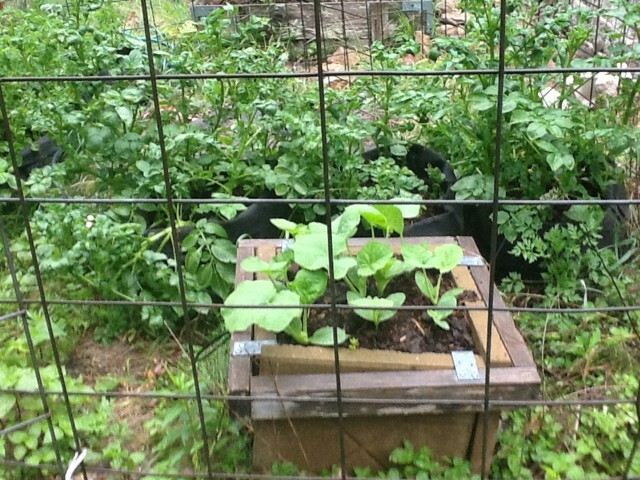 This bed has the other part of the salsa mix: Roma and salsa tomatoes (missing one cage) and basil. 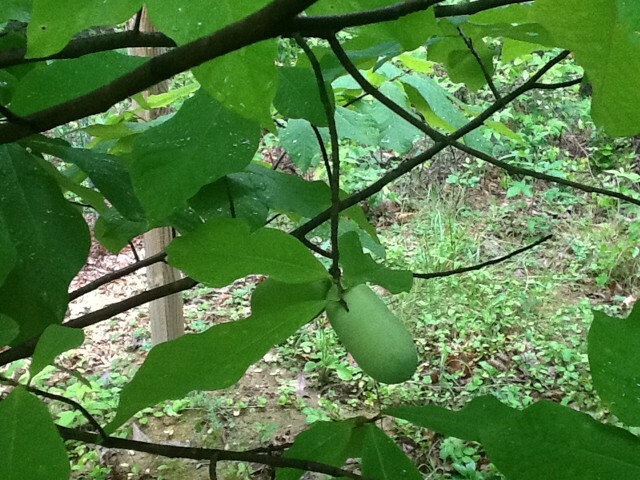 Here is what a pair of almost-ripe pawpaw fruits look like. 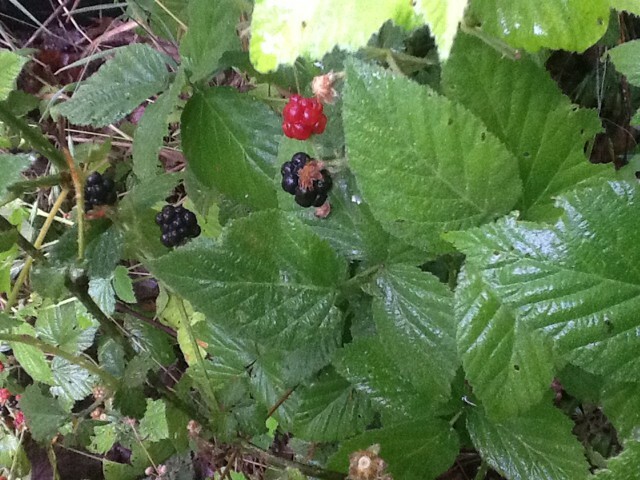 We let the wild blackberries grow wherever we aren't directly working or walking. I am familiar with clay-and-rock gardening. 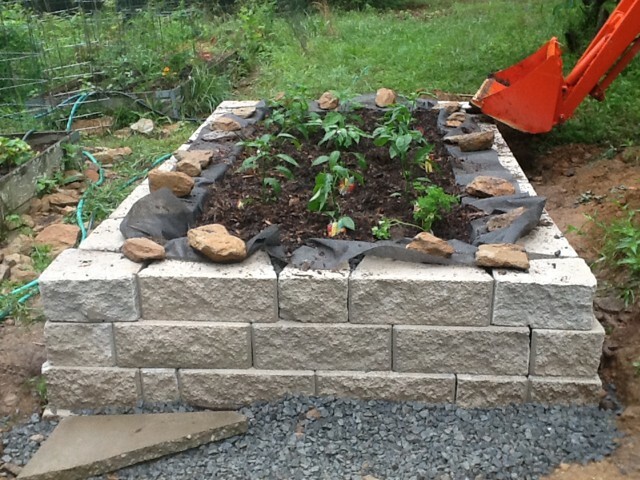 :) Raised beds are indeed the way to go. This page was loaded Apr 20th 2019, 3:17 am GMT.